Nothing happens in a vacuum. No matter what the cause, progress doesn’t happen without the passion, effort, and commitment of many people and the involvement of the organizations they form. This is no less true of canine health efforts than anything else. Everyone, from the hierarchy of the major kennel clubs at the top on down to the membership of your local breed club, needs to recognize that the health of our dogs is a high priority and take steps to insure that our practices promote not only dogs with sound minds and excellent structure but longevity and health, as well. There was a time when health issues weren’t given much attention. Even so, there were some shining achievements like the Golden Retriever Club of America’s involvement in the founding of the Orthopedic Foundation for Animals (OFA). For the most part health issues were on the back burner, if not in the closet. However, over the past couple of decades there has been a major shift in attitude and action at all levels of the purebred dog community, including at its highest levels: The national kennel clubs. These clubs wield tremendous influence over a wide range of canine activities. Their programs provide the events we enjoy with our dogs while their studbooks maintain vital records of the heritage of the breeds they support. They are looked to by the public as well as dog enthusiasts as supreme authorities on almost anything pertaining to dogs. That authority can go a long way toward setting standards for health. For many years a number of European kennel clubs have maintained open health registries. The Swedish Kennel Club has one of the longest standing and makes for review health records available via their web site. Most of these registries include at least the results of eye, hip and elbow exams. Screening for diseases prevalent in particular breeds may also be included. In the past few years DNA health screening tests have been added to the mix. The various clubs publish the information in print form and sometimes, like the Swedish club, make it available via searchable on-line databases. The motivated breeder can use these resources to track breed health issues so they can make informed breeding decisions. The Kennel Club in the United Kingdom, the first of its kind, set the standard for all others that followed. A few years ago they launched a health and welfare program which all kennel clubs could emulate. The Assured Breeder Scheme provides certification to breeders who meet certain standards of breeding practice, including breed-specific health screenings requirements and recommendations. The American Kennel Club has also become much more active in health-related issues. In 1995 it established the AKC Canine Health Foundation (CHF). The AKC underwrites some of CHF’s operating costs and provides generous contributions toward CHF’s research grants. Since its founding, CHF has, among other things, provided stellar breeder and club education programs and millions of dollars for research on a wide range of canine health issues. The findings of those projects have lead to improved diagnostics and treatment, DNA screening tests for breeding dogs, and better understanding of canine diseases. The major kennel clubs can do the heavy lifting and set the tone in the campaign for improved health, but our many breeds are no more alike in health concerns than in appearance or behavior. Those best acquainted with the issues in any given breed are those who dedicate themselves to the preservation and improvement of each breed in the form of national breed clubs. Most national breed clubs are affiliated with a major kennel club. However, a few, like the Schaferhund Verein (German Shepherd Dog Club) in Germany or the Australian Shepherd Club of America in the US, maintain their own studbooks and offer a variety of competitive programs. The extra responsibilities the club/registries shoulder due to their independent status does not exonerate them from responsibility for breed health. If anything, their responsibilities are greater. This is especially so those which are the only organization for their breeds. Whether affiliated with a kennel club or not, breed clubs are ideally positioned to promote breed health initiatives. Every club has a multiplicity of programs, events and member services its board must oversee. If effective progress on the health front is to take place, the club must have a motivated and focused health and genetics committee peopled with individuals who are passionate about their breed and make health a high priority. H&G committees conduct surveys to identify breed specific heath issues and track progress in reducing their frequency. They develop educational material for members and, just as important, everyone who owns their breed. The committee should serve the club board by providing information, suggestions and advice on health-related items that come before the board for review or action. Research is vital to developing prevention and better treatment for disease, as well as providing breeders with tools that will enable them to avoid producing affected dogs. A good H&G committee will identify research projects focusing on its breed’s concerns and, where needed, raise funds to support research, and organize sample and data collection where needed. Finally, H&Gs can encourage best health practices by developing recommended health screening protocols, creating recognition programs for breeders who meet high health standards, and by organizing and operating screening and/or research clinics at the annual national specialty and other key events. The national breed clubs should be their breeds’ primary advocates for health. Every breed community has its own unique culture and quirks, but if the breed club “walks the talk” when it comes to health, member health awareness will be heightened. If a club fails to do so, the less motivated of its members will see little reason to make health a priority. There are some things a breed club cannot easily accomplish because of their legal status as membership associations. Fundraising for research is vital if a club wants to make serious inroads on key breed health issues. But, in the US at least, donations made to clubs for charitable purposes cannot be deducted from the donor’s taxes. For this reason, many clubs have set up charitable foundations. Ideally, the breed foundation should work with the breed club’s board and H&G committee to identify areas where the foundation can contribute toward improving breed health. Stellar examples of breed foundations that have had a major impact on canine health include the American Boxer Charitable Foundation and the Golden Retriever Foundation. Between them they have contributed hundreds of thousands of dollars to canine health research. While not every breed community has the numbers or the resources to achieve at the level established by the Boxer and Golden foundations, even a relatively small breed foundation can take major strides ifs board is motivated. Regional breed clubs and their members are the grass roots of a breed community. Whatever plans and programs the major kennel clubs and national breed clubs devise, they succeed or fail on the acceptance by the breeders who make up much of the regional club membership. Major initiatives, in health or anything else, are spurred by the demands of those with “boots on the ground.” If managing breed health issues isn’t a significant concern for the regional club membership, not much is likely to happen on the national scale. Aside from making their health-related wants and needs known at higher levels, regional clubs can take an active part in he process by educating members and the public about breed health issues and responsible breeding practices, developing a local resource list for owners of dogs afflicted by common diseases, sponsoring health screening clinics for breeders, and raising funds for breed health programs or research. There are also hundreds of multi-breed regional clubs that are activity-based: Obedience, agility, field trials, herding, and so on. While the focus of these groups is on their particular area of activity or competition, they, too, should become more proactive in matters of health. Sports injuries are an obvious concern, but activity club members should keep in mind that only a sound, healthy dog can have a full and successful performance career. Like the regional breed clubs, activity clubs can provide pertinent health education to members and others and raise funds for research in sports medicine or diseases which impact participants in their sport. They can also let whatever national organization they are affiliated with know their concerns and push for national action to address those health issues. There is strength in numbers and no club or individual can do alone what many clubs and individuals might accomplish together. Most diseases are not unique to a single breed. Share ideas or join forces with other clubs whose dogs share your breed’s issues. There are also organizations outside the formal purebred dog club structures that can assist clubs with their health programs. Consider partnering with non-affiliated health organizations. 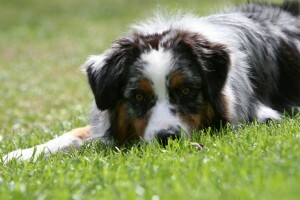 Some of these groups focus on a single breed, like the Australian Shepherd Health & Genetics Institute (ASHGI) education, resources, and funds research. There are all-breed organizations, like the OFA, originally a hip registry but now offering not only an expanded semi-open health register but a wide variety of programs of value to breeders and clubs. Some groups serve multiple species, including dogs. The prime example in this are is the Morris Animal Foundation. MAF is a major source of research grants for companion animals and wildlife and has many active grants focused on canine diseases. Joining with groups like these can help dog clubs achieve health goals they might not be able to accomplish with only their own resources. Over the past couple decades the world has become a much smaller place. Not only can we easily communicate with far corners of the world, our dogs can more readily travel to new homes in different countries. The health concerns for a particular breed in one country are apt to be much the same in another. Cooperation, exchange of knowledge and ideas, and partnership in disease control programs or research efforts doesn’t need to stop at national borders. Finally, every club depends on people, whether it is a membership organization or a “club of clubs” like the AKC. It is up to each of us as individuals to individually and collectively act and advocate for improved canine health. The dog world is replete with organizations, from Kennel clubs down to local groups with a dozen members. The more of us who take active steps to improve canine health, the more effective our organizations will be to the benefit of all dogs.